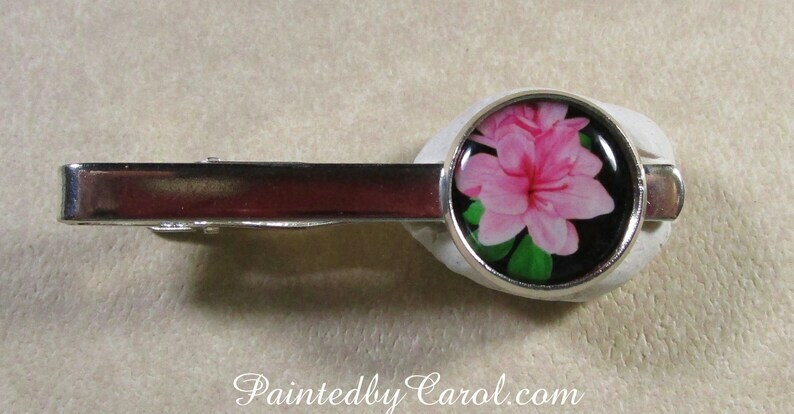 This azalea tie bar or tie tack has a 16mm cabochon featuring my watercolor painting of bright pink flowers. Both settings are shiny silver tone. The tie bar is just over 2 inches long. The image is printed on professional photo paper and protected by an epoxy cabochon. Each made-to-order item may vary slightly from the image photographed, but will as close to identical as I can manage.